North Shore Orthodontics is a busy, thriving practice that could only effectively operate with experienced, dedicated and caring staff. We are indeed fortunate to have such a team! Beth has been working for North Shore Orthodontics since 2008. 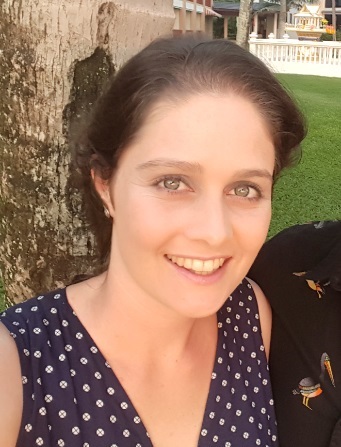 She is originally a country girl from Tamworth, and after graduating from the Westmead School of Dental Therapy she commenced practice in Orange as a School Dental Therapist. After a number of years clinical practice, she returned to Sydney and commenced her long career in orthodontics. During this time she also spent three years working in London broadening her experience. Beth now lives locally in St Ives with her husband and two daughters. Outside of work she loves to explore her creative side and catch up with friends. Kim started her dental career in 1979 as a chair side assistant in general dentistry. She then moved to assist a specialist endodontist before joining North Shore Orthodontics. She has worked with us since 1986, developing her professional skills and attaining the role of Practice Manager. During that time she gained her Dental Assistants, Dental Health Education and Dental Radiograph Certificates. Kim is our team leader at North Shore Orthodontics and her long standing service has earned her many friends along the way. Kim lives on the Northern Beaches with her husband and daughter and dog, Max. Faith grew up in Mullumbimby, which is near Byron Bay. After completing high school, she moved to Sydney and began her working life in retail. After a few years Faith wanted a change and to learn new skills. She had some friends working here at North Shore Orthodontics and, when a position came available, she applied. Since 2009 Faith has worked as a clinical assistant and as of mid 2017 took over the role of our receptionist. In her free time she enjoys playing tennis, listening to music and playing her guitar. Faith and her husband love the excitement of travelling and exploring new places. Sam was educated at Carlingford High and now lives on the Northern Beaches. She has been a clinical assistant with North Shore Orthodontics since 2009. Sam likes to have a giggle and share a joke with our patients. She loves to be creative through painting or drawing and her work will often be seen on our notice board, as she is in charge of our patient competitions and rewards program. A social creature, Sam loves the family atmosphere at work and enjoys the opportunity to meet new people every day. Outside of the practice, Sam enjoys dancing, creative pursuits and travel. Louise has been with our practice since leaving high school in 1979, over thirty years ago when we were still located in Pymble. She started as a clinical assistant and is now coordinating all orthodontic materials used in the practice. Louise plays a role in staff education and training and enjoys providing patient education. Softball has been a life-long interest, having played as a state representative for many years. Louise is still involved in softball administration. Away from the office she enjoys spending time with her husband, two children and friends. She is well travelled with Venice, Italy being one of her favourite destinations. One day Louise would love to retire to the country with her extending family. Victoria grew up in the lower Blue Mountains and moved to the Northern Beaches in 2013. Since leaving school, Tori has experience working in accounting, engineering and the medical industry. Joining us in April 2017, she has learnt more about teeth than she could ever have imagined. Tori married a Northern Beaches local named Mick in 2014. She loves to have a laugh and high end fashion is a passion of hers. A long term goal of Victoria’s is to do more travelling overseas with Europe and Mexico on the top of the list! In her spare time you'll find her on the beach with a good murder mystery in hand and her itty bitty fur baby Pedro @pedro_manning running amongst the waves. Nix was born in South Africa in a little coastal town called George. She grew up in Tasmania and finished her schooling there. Nix decided to follow her brother to Sydney for the beautiful weather and beaches and has now been living on the northern beaches since 2014. Before joining us here at North Shore Orthodontics mid-2015, she worked as a barista for 3 years. She still loves good coffee and spends her weekends exploring new areas for good cafes and live music. Her plans include travelling as much as possible and furthering her studies. Mahsuri grew up in Leura and attended high school in Katoomba. She now lives in Avalon with her husband Andrew. Mahsuri became interested in advertising and marketing and started working for John Fairfax at The Sydney Morning Herald and Financial Review newspapers. Her next role was with Telstra customer relations where she remained for 10 years before making a career change to a local government ranger with The Hills Shire and Pittwater Councils. When a position became available here at Gordon in 2015 Mahsuri jumped at the opportunity to learn new skills. Mahsuri supports our receptionist Ashleigh and also assists our orthodontists’ chairside. In her free time, Mahsuri enjoys fitness training in Muay Thai kickboxing, travelling overseas and spending time with her niece and three nephews.